A while back I had a play with an idea for a new notebook design, and now thanks to the joys of Christmas holidays I’ve been able to bring them to life! As with my other notebooks, the new ones are then hand punched, hand stitched with gorgeous waxed bookbinding thread (in stupidcats orange! 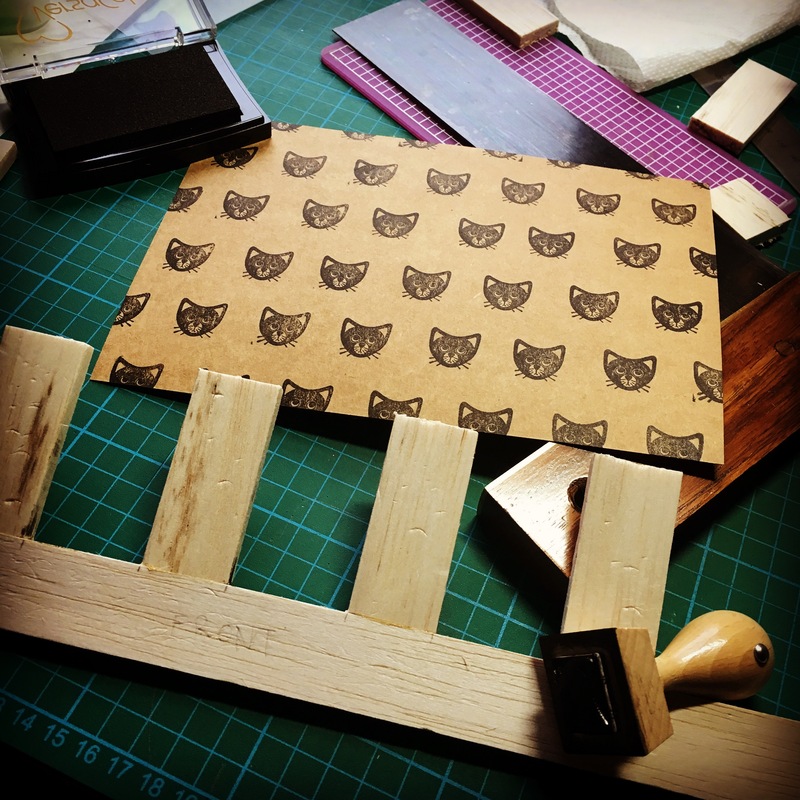 ), pressed overnight then each of the three edges is trimmed by hand using a carpenter’s square and a Very Sharp Knife. Inside each book are 28 pages (56 sides) of beautiful 85gsm Fabriano blank paper. 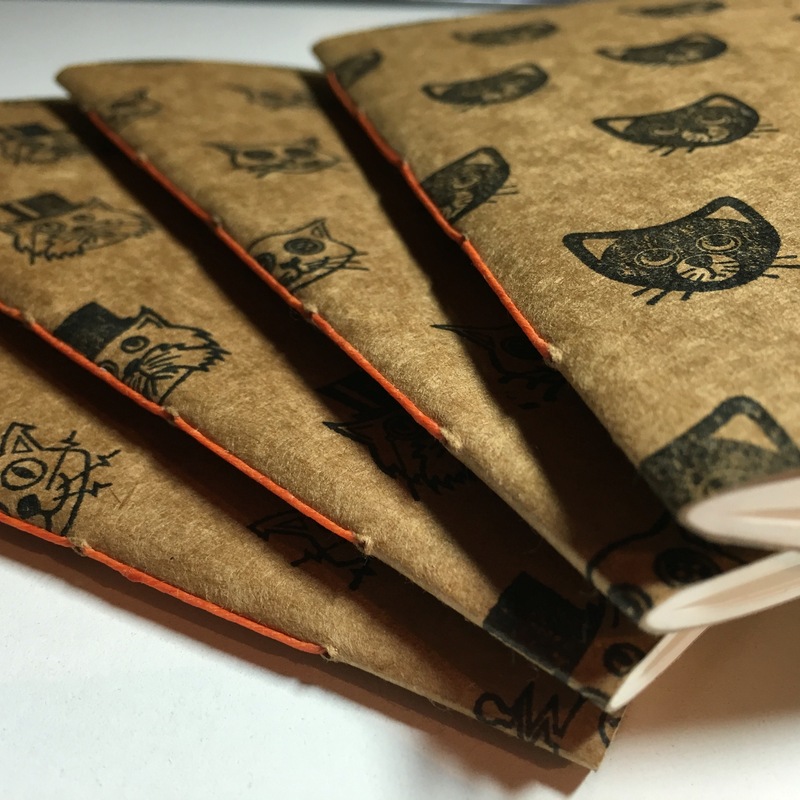 My logo is stamped inside the back cover, and as a finishing touch, a wrap is added to each notebook – in stupidcats orange of course!